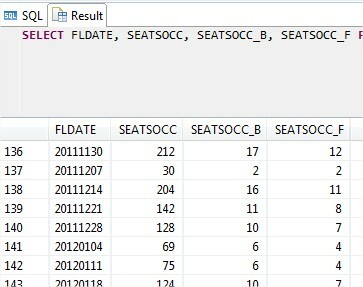 First, I went to my SAP HANA Studio to get the query…which is basically…get all the seats (First, Business, Economy) from all flights that happened between 2010 and 2012. First, by using the RODBC library we connect to our SAP HANA Server. Then, we grab the dates and using a custom function, convert them to Month/Year. We do an aggregation to get the sum of all seats and then built a data frame to hold the data. 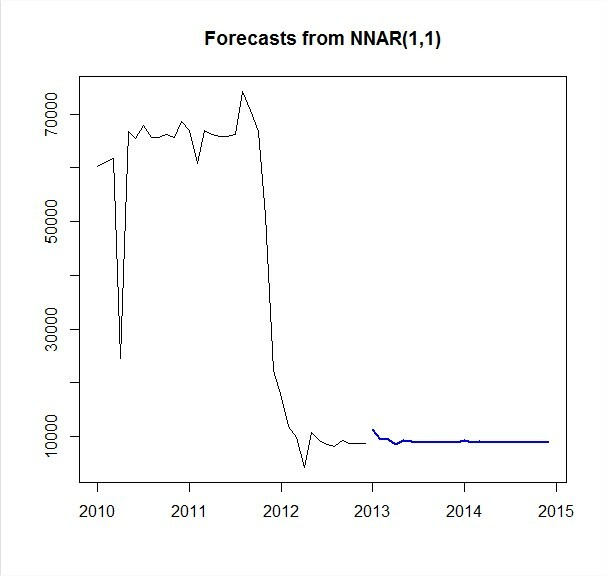 For 2010, the months start on April, meaning that from January to March there’s no information…and the same happens to 2012 where the information end on April and from June to December there’s nothing.